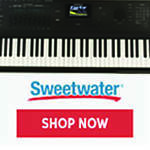 Register Log In Piano World Home Page Forums Digital Pianos - Electronic Pianos - Synths & Keyboards Help! 1-year old used Yamaha Clavinova CVP-405 - fair price? 122 registered members (AnthonyPaulO, Animisha, ando, agraffe, AnnInMiami, Amedeus, ADWyatt, Akaitsuki, alexk3954, 26 invisible), 1,223 guests, and 5 spiders. Well, my search for a good digital piano continues... Someone local is selling a 1-year old Yamaha Clavinova CVP-405 PE for $3350 (the lowest she will take). The warranty is non-tranferrable, so I don't have that, otherwise it's in "excellent condition". Is this a good buy? I had also considered the Roland FP-7F as many have suggested. That comes to about $2350 with the stand, 3 pedal unit and bench. 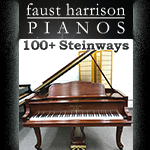 Paying the extra $1000 won't break the bank, and getting the better piano is the goal. (Third and our original option was getting a CVP-403 PE floor model from the dealer for $3970 with full 5-year warranty). Was going to try to make a final offer of $3500 but don't know if they will take it, as I've been told others "wanted to buy it". (It's on hold for us right now). Advice? I think we've agonized long enough and need to get it this weekend. "Others want to buy it" is a sleazy sales gambit. Don't believe it. 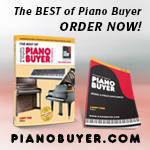 There are more pianos than there are buyers. Don't fall for this trick. And it's most certainly not "on hold" for you, despite what the dealer may say. There is no such thing as on-hold. The dealer will sell it to the first committed buyer. We "need to get it this weekend" syndrome is a mistake. He who is in a hurry or who has a deadline is at a serious disadvantage in any negotiation. I'd advise against rushing. Since you're willing to buy a FP7F, it seems that the "accompaniment" features of those two CVP models is not essential for you. Is that right? Please realize that you pay a HEAVY premium for those features. 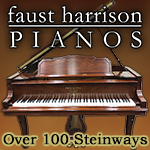 Yamaha (among others) has similar pianos that omit the accompaniment features (the CLP series pianos) that sell for MUCH less. For the same price you get a much better CLP model than CVP model. I don't know anything about the FP7F, but others here seem to like it. As for pricing ... have a look at the prices-paid thread. See what others are paying for these models. CVP 400 series was replaced a long time ago by the 500 series. Any dealer with a 400 still in his shop will be VERY keen to get rid of it. Haggle hard because he will have had that piano for ages. If it were my money, I'd put it elsewhere to be honest. If you don't need bells and whistles there are better options at the price (much better in my opinion - and I have owned a CVP-405 in PE). Have you tried a Kawai CA series piano? Roland FP or HP, Yamaha CLP-470 maybe? I can't find a Roland FP-7F in any store to check out. I did look at the FP-4F in the store. And I have not seen any Kawai because the dealership is not closeby. Is that worth a trip? Heard good things about CN33. How's the CA series different? Heard good things about CN33. How's the CA series different? Wooden action. Very highly regarded. From what you say, I'd find another Yamaha dealer! Unless they'll take a low-ball offer on a CLP-380 - fantastic sound system on that piano.